Gilles was born in the French-speaking part of Switzerland in 1976. After completing his MSc. in Chemistry at the University of Neuchâtel in 2000, he crossed the “Swiss-German border” to work for one year, as a research chemist, at the multinational agro-pharmaceutical company Lonza Ltd (Visp, Switzerland) in the Research and Development Division. There, he developed more economical syntheses of drugs for industry. Thereafter, Gilles decided to move back to Neuchâtel to undertake a PhD thesis in supramolecular/coordination chemistry with Prof. Helen Stoeckli-Evans (2001-2004). In collaboration with Dr. Jim Tucker from the University of Exeter (now at the University of Birmingham), he developed new ferrocenyl ligands capable of recognising the presence of biological molecules (amino acids, urea and barbiturate derivatives) and metallic cations by electrochemistry. From 2004-2007, endowed with a Swiss National Science Foundation (SNSF) grant for prospective researchers, Gilles “crossed the oceans” to carry out a post-doc on bioinorganic chemistry with Prof. Leone Spiccia (Monash University, Melbourne, Australia). In collaboration with Prof. Alan M. Bond, he prepared metal complexes which can specifically sense the presence of DNA bases using electrochemistry. It is also in Australia that Gilles worked for the first time with the fascinating DNA analogue Peptide Nucleic Acid (PNA) and their metal derivatives. In 2007, Gilles was awarded an Alexander von Humboldt Research Fellowship that he took at the Ruhr-University Bochum (Germany) in the group of Prof. Nils Metzler-Nolte (2007-2009). There, he notably worked on the preparation and bioevaluation of new metal-containing PNA bioconjugates for pharmaceutical and biosensing purposes. At the beginning of 2010, Gilles was given the opportunity to come back to Switzerland to start his independent research at the Institute of Inorganic Chemistry (now Department of Chemistry) of the University in Zurich as a SNSF Ambizione fellow. A year later, in March 2011, Gilles became an assistant professor at the same institution endowed with a non-tenure track SNSF professorship. Gilles stayed about 5 years in Zurich, working mainly on the field of Photodynamic Therapy (PDT) and bioorganometallic chemistry. In October 2016, Gilles joined Chimie ParisTech from the newly created Paris Sciences & Lettres (PSL) University thanks, among others, to an ERC Consolidator Grant and a PSL Chair of Excellence Program Grant. In Paris, the current research interests of Gilles and his group cover various fields of inorganic chemical biology and medicinal inorganic chemistry, thereby focusing in using metal complexes to modulate the properties of biomolecules. Gilles likes traveling, hiking, playing/watching sports (a high percentage of his free-time is spent training for long-distance runs) and enjoying nice food and wine (Paris is perfect for this!). 2018 EuroBIC Medal Award for work in Bioinorganic Chemistry. 2018 Top 5% of the Reviewers for Angew. Chem. Int. Ed. in 2017. 2016 Ernest Th. Jucker Prize from the Ernest Th. Jucker Foundation for research against cancer. 2016 PSL Chair of Excellence Program Grant. 2016 Top 10 Reviewer for Chem. Sci. in 2016 – see this link. 2016 2016 J. Med. Chem. Award for the highly cited Article of 2014. 2016 Thieme Chemistry Journal Award. 2015 ERC Consolidator Grant (2’000’000 €). 2015 Werner Prize from the Swiss Chemical Society for outstanding independent chemical research. 2014 Extension of a Swiss National Science Foundation Professorship (CHF 690’978.-). 2013 2013 J. Med. Chem award for the highly cited Perspective of 2011. 2011 Swiss National Science Foundation Professorship (CHF 1’517’692.-). 2010 Rubitec Award for the best patent application at the Ruhr-University Bochum (Germany) in 2009. 2009 Swiss National Science Foundation Ambizione Research Fellowship (CHF 448’341.-). 2008 Extension of an Alexander von Humboldt Research Fellowship. 2007 Alexander von Humboldt Research Fellowship. 2004 Swiss National Science Foundation Fellowship for Prospective Researchers. 2004 Syngenta Award for the best PhD Thesis in Chemistry of the University of Neuchâtel in 2004 (Switzerland). 2000 Jean Landry Award of the University of Neuchâtel for Excellence in the MSc. Hons. in Chemistry (Switzerland). 2000 Jürg Engi Award of the University of Neuchâtel for the student with the best marks in organic chemistry (Switzerland). 2017—2021 Extension of the UBS Promedica Stiftung Swiss National Science Foundation Sinergia Research Grant for the Project “Ruthenium Complexes for the Treatment of Protozoan Diseases of Medical and Veterinary Importance” (CHF 1’547’903.‑) with Dr. Julien Furrer and Prof. Andrew Hemphill. 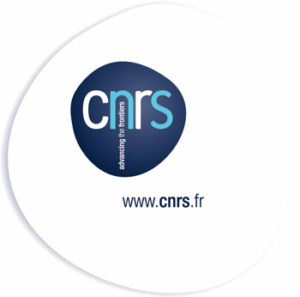 2017—2018 France-Stanford Centre Collaborative Project for the Project “Novel Theranostic Agents for Imaging in the near-Infrared-II Region and for Photodynamic Therapy” (€ 7’500.‑). 2015—2018 Swiss National Science Foundation Research Grant for the Project “Novel Multidentate Bifunctional Chelating Agents for the Development of Zirconium-89 Based Molecular Imaging Probes” (CHF 350’000.-) with Prof. Thomas Mindt. 2015—2016 New York University-PSL International Collaborative Project for the Project “Targeting and Inhibition of Deacetylases with Photosensitizer-Aptamer Conjugates” (€ 10’000.‑) with Dr. Marcel Hollenstein. 2014—2015 UBS Promedica Stiftung Research Grant for the Project “Metallocenyl Antifungal Agents” (CHF 110’000.‑). 2013 Alfred Werner Research Equipment Grant (CHF 32’400.-). 2013—2016 Stiftung für wissenschaftliche Forschung Research Grant for the Project “Towards the Development of Metal-Based Antiparasitic Drug Candidates for the Livestock Industry” (CHF 23’081.-). 2013—2014 Swiss National Science Foundation Research Grant for the Project “Photo-Induced Uncaging of Metal Complexes in Living Cells” (CHF 66’720.-). 2014—2015 Novartis Jubiliee Foundation Research Grant for the Project “Towards Metallocene-Based Antifungal Agents” (CHF 50’000.-). 2011 Alfred Werner Research Equipment Grant (CHF 16’690.-). 2011 Alfred Werner Research Equipment Grant (CHF 14’464.-). 2010 Alfred Werner Research Equipment Grant (CHF 24’638.-). 2010—2013 Swiss National Science Foundation Research Grant for the Project “Photo-Induced Uncaging of Metal Complexes in Living Cells” (CHF 197’244.-). 2019 Organiser of the Metals in Medicine Workshop, Paris, November 2019. Since 2019 Editorial Advisory Board Member of J. Biol. Inorg. Chem. Since 2018 Co-Funder and Co-organiser of the PSL Bioinorganic Chemistry Seminars. Since 2017 President of the European Platform for Photodynamic Medicine (EPPM). 2016 Editorial board member of Inorganics. 2016 Scientific Committee Organiser of the International Symposium on Bioorganometallic Chemistry (ISBOMC) to be held in Moscow (Russia). Since 2015 Editorial board member of ChemBioChem. Since 2014 Vice-President of the European Platform for Photodynamic Medicine (EPPM). 2014 Editorial board member of Photodiagnosis and Photodynamic Therapy. 2014 Co-organiser of the Young Faculty Meeting to be held in Berne in June 2014. 2014 Local organiser of the European Conference on Bioinorganic Chemistry held in Zurich in 2014. Since 2013 Review editor for Frontiers in Inorganic Chemistry (Nature publisher). Since 2010 Active reviewer for numerous peer-reviewed journals such as as Nature Chem., Nature Commun., Nature Protocols, J. Am. Chem. Soc., Angew. Chem. Int. Ed., ACS Nano, Chem. Sci., etc. Since 2010 External expert for numerous funding agencies such as the Swiss National Science Foundation (SNSF), the Swiss Academy of Engineering Sciences, the German Research Foundation (DFG), the UK Medical Research Council, the French National Research Agency (ANR), the Netherlands Organisation for Scientific Research (NWO), the Natural Sciences and Engineering Research Council of Canada (NSERC), the Genesis Oncology Trust New Zealand, the Innovation and Technology Commission (ITC) of Hong Kong, the South African National Research Funding Agency, the National Science Centre Poland, the Fundação para a Ciência e a Tecnologia Portugal (FCT), etc. Since 2010 External PhD thesis examiner at the University of Basel (Switzerland), the University of Fribourg (Switzerland), the University of Neuchâtel (Switzerland), the Ecole Nationale Supérieure de Chimie de Paris (France), the University of Lille 2 (France), the University of Strasburg (France), the University of Burgundy (France), Monash University (Australia), the Ruhr-University Bochum (Germany), Trieste University (Italy), Royal College of Surgeons in Dublin (Ireland), and the University of Cape Town (South Africa).